Table 1. Recognition of ligand and functional immunobiology of different TLRs against array of pathogens. During the course of evolution, multicellular organisms have been orchestrated with an efficient and versatile immune system to counteract diverse group of pathogenic organisms. Pathogen recognition is considered as the most critical step behind eliciting adequate immune response during an infection. Hitherto Toll-like receptors (TLRs), especially the surface ones viz. TLR2 and TLR4 have gained immense importance due to their extreme ability of identifying distinct molecular patterns from invading pathogens. These pattern recognition receptors (PRRs) not only act as innate sensor but also shape and bridge innate and adaptive immune responses. In addition, they also play a pivotal role in regulating the balance between Th1 and Th2 type of response essential for the survivability of the host. In this work, major achievements rather findings made on the typical signalling and immunopathological attributes of TLR2 and TLR4 mediated host response against the major infectious diseases have been reviewed. Infectious diseases like tuberculosis, trypanosomiasis, malaria, and filariasis are still posing myriad threat to mankind. Furthermore, increasing resistance of the causative organisms against available therapeutics is also an emerging problem. Thus, stimulation of host immune response with TLR2 and TLR4 agonist can be the option of choice to treat such diseases in future. Antimicrobial inflammatory response primarily onsets through initial sensing of distinct pathogen associated molecular patterns (PAMPs) by pattern recognition receptors (PRRs) of hosts. These receptors serve as crucial innate PRRs that sense microbial or endogenous products released from damaged or dying cells and trigger innate immunity through the activation of intracellular signal transduction pathways.1 Amongst the innate immune PRRs, Toll-like receptors (TLRs) have the unique capacity to sense the initial infection and are the most potent inducers of the inflammatory responses.1 Depending on their cellular localization or respective PAMPs they identify, TLRs can be divided into two sub groups such as transmembrane (TLR1, TLR2, TLR4, TLR5, TLR6, and TLR11) and intracellular (TLR3, TLR7, TLR8, and TLR9).1 These evolutionary conserved type-I transmembrane proteins (TLRs) can recognize ligand from almost all types of pathogenic organisms including viruses, bacteria, fungi, protozoa, helminths, etc. Structurally, TLRs located on cell membranes possesses an extracellular domain containing leucine-rich repeats that recognize distinct PAMPs and a toll-interleukin 1 (IL-1) receptor (TIR) domain required for downstream signalling that guides activation of transcription factor nuclear factor-κB (NF-κB) for inducing pro-inflammatory cytokines and chemokines as well as the up-regulation of co-stimulatory molecules on antigen presenting cells, such as macrophages (MΦs) and dendritic cells (DCs) that in turn sensitize T-cell activation. Inflammation signalled from TLR is a protective measure of the host body to ensure removal of detrimental threats posed by infectious agents as well as to accelerate the healing process. However, the Th1 biased inflammatory consequences orchestrated by TLRs not only involve in eliminating pathogenic infections but also can induce fatal pathological outcomes like septic shock (Fig. 1). Similarly, pathogen modulated TLR signalling develops a Th2 based response beneficial for the pathogen i.e. disease progression (Fig. 1). Thus, an adequate balance between pro- and anti-inflammatory immune responses is of immense importance to restore the normal physiological conditions of the host body during and after a pathogenic infection.2 Herein, major research findings exploring the role of TLR2 and TLR4 in the induction of host immunity against major parasitic diseases such as tuberculosis, leishmaniasis, malaria, trypanosomiasis, and filariasis have been reviewed. Cytokine mediated proinflammatory (Th1) or anti-inflammatory (Th2) polarization of immune cells. Since their discovery, TLR2 and 4 have gained much attention due to their extreme ability of identifying diversified array of pathogenic ligands.1 Alike Drosophila protein ‘Toll’, mammalian TLR2/4 possesses a cytosolic IL-1 receptor homolog domain but heterologous extracellular leucine-rich repeats.3 Interestingly, the mode of signalling is highly similar for e.g. transcription factor ‘Dorsal’ activated by Toll pathway in Drosophila is a functional homologue of NF-κB.4 The mode of activation of NF-κB or Dorsal also share high degree of similarity in terms of signalling intermediates like protein kinases such as ‘Pelle’ of Drosophila5,6 and mammalian IL-1 receptor-associated kinase.7 A comparative homology in the signal pathway transduced by Drosophila ‘Toll’ and mammalian “TLR” have been depicted in Fig. 2. Signalling homology between the Toll-pathway of Drosophila (left) and mammalian TLR pathway (right) in response to extracellular ligand (s). The functional features of “Toll signaling” are primarily different from insect to mammals. As obvious, ‘Toll’ receptors in insect (Drosophila) perform developmental roles primarily but it serves as innate immune receptor majorly in mammals. The proteins involved in the dorso-ventral polarity also play crucial role in the antimicrobial response in the fly as well.8 Interestingly, intermediates of dorso-ventral polarity determining ‘Toll’ pathway of insect share high degree of homology with vertebrate TLRs (specifically TLR4) that performs pattern recognition.8 Thus, the functional ancestry between development and immune pathway has been emerged as a major question. In particular, the discovery of immune function of ‘Toll’ in Drosophila also suggested towards the fact that the immune function of the Toll gene product was not adapted by the higher animals rather it can be revealed that the coordination and integration and/or cross talk between the intermediates of ‘Toll signaling’ has been improved with the increase in complexity among animals most likely during the course of evolution.8 In addition, unrelenting selective pressure exerted by the rapidly evolving pathogenic organism also contributed in this adaptive evolution of ‘Toll’ receptor.8 Particularly for TLR4, evolution of the gene (mostly due to mutation) led to differential expression of TLR4 with different affinity and specificity to its PAMP8 which may be the reason behind resistance/susceptibility to an infectious disease. However, the exact molecular explanation of the mechanism involved in the introduction of immune functioning in the “Toll pathway” alongside its developmental function or its functional divergence still remains as a shaded area in our understanding. Being among the cell surface TLRs, TLR2 and 4 shape pathogen specific innate immunity through distinct ligand binding which in turn develops antigen-specific acquired immunity as well. These two TLRs are the best characterized PRRs which not only identify invading pathogens outside the cell but also intracellular pathogens captured in endosomes or lysosomes.9 TLR2 and 4 can sense PAMPs from various infectious micro and macro organisms as summarized in Table 1. The best possible explanation of cell surface TLR activation is the presentation and binding of lipopolysaccharide (LPS) to TLR4. Under pathogenic condition, a soluble plasma protein namely LPS-binding protein (LBP) interacts and binds with LPS.9 The entire LPS-LBP complex handed over to glycosyl phosphatidyl inositol linked CD14 firstly and then on to the TLR4-MD2 complex.9 TLR4 forms a complex with MD2 on the cell surface which serves as the main LPS-binding component.1 Five out of the six lipid chains of LPS occupy the hydrophobic pocket of MD2 and the remaining lipid chain exposed to the surface on MD2 associates with TLR4.1 The phosphate groups on sugar moieties also interact with the positively charged residues of TLR4. The multimeric receptor composed of two copies of the TLR4-MD2-LPS complex resulting initiation of signal transduction by recruiting intracellular adaptor molecules such as Myeloid differentiation factor 88 (MyD88), TIR-related adaptor protein inducing interferon (TRIF), TRIF-related adaptor molecule (TRAM), TIR domain containing adaptor protein (TIRAP) or MyD88 adaptor like (MAL), and Sterile-alpha and Armadillo motif-containing protein (SARM). The summary of mode of ligand recognition by TLR4 has been depicted in Fig. 3. Recognition of ligand and functional immunobiology of different TLRs against array of pathogens. Presentation of ligand (LPS) to TLR4 through the coordinated actions of serum LBP, membrane bound CD14 and MD2. Activation of IRF3 and NF-κB are the principal targets of TRIF-dependent pathway.51 TRIF recruits TRAF6 and activates TAK1 for NF-κB activation through ubiquitination dependent mechanisms similar to those of the MyD88 dependent pathway.45 TRIF forms a multiprotein signalling complex along with TRAF6, TNFR-associated death domain (TRADD), Pellino-1 and Receptor-interacting protein1 (RIP1) required for the activation of TAK1, which further activates NF-κB and MAPK.1 In addition to NF-κB activation, the TRIF-dependent pathway also leads to IRF3 activation and interferon-β transcription.52 TRIF recruits another signalling complex involving the non-canonical IKKs, TBK1 and IKKi (IKK?? ), which catalyze the phosphorylation of IRF3 and induce nuclear translocation to mediate transcription of target genes.53 TRAF3 is also incorporated into the MyD88 complex during signalling. Degradation of TRAF3 results in the translocation of the membrane proximal signalling complex to the cytoplasm leading to TAK1 activation that phosphorylates the IKK complex to mediate NF-κB activation.54 The mechanism of signalling induced from TLR-ligand interface to mediate inflammatory response has been presented in Fig. 4. Signalling pathways and their crosstalk in response to specific ligand from pathogen. Diseases caused by parasites/microbes are just not the burden for mankind; they are economically considered as biohazards. Major infectious diseases like tuberculosis (TB), malaria, leishmaniasis, trypanosomiasis, and filariasis are the deadliest for the extent of harm they result. In this section, current scenario of the diseases of our interests has been presented with up-to-date information. Tuberculosis (TB) caused by the intracellular bacterium Mycobacterium tuberculosis, capable of surviving within host mononuclear cells, remains one of the world's deadliest communicable diseases. TB is a major public health problem causing 10 million new infected cases diagnosed each year whereas deaths of 2 million victims.55 In 2013, an estimated 9.0 million people developed TB and 1.5 million died from the disease worldwide (WHO, 2014). TLR2 and 4 significantly contribute in the typical immune response in TB and their interaction with Mycobacterium tuberculosis believed to be the principal event. The decision behind progression or elimination depends what type of microbacterial ligand binds to these receptors.56 In general, mycobacteria have adopted sophisticated evasion strategy to bypass MΦs through alternative activation whereas elimination of mycobacterial infection is predominantly occurring by classically activated MΦs.57 Kusner58 has reported a 19kDa mycobacterial secretary lipoprotein that activates murine and human MΦs to secrete TNF-α and nitric oxide (NO) via interaction with TLR2, but not TLR4. Mycobacterial glycolipids like lipoarabinomannan (LAM), lipomannans (LM), phosphatidylinositol mannosides (PIM2, PIM6), and a 19-kDa lipoprotein, are the mycobacterial PAMPs believed to cause MΦ activation via the TLR2 activating innate pathway by regulating tumour necrosis factor (TNF-α) and IL-10 secretion reported for human monocyte-derived MΦs.57 The interaction of MΦs with M. tuberculosis through TLRs is critical in defining the cytokine profile that may or may not control disease progression. This interaction promotes the synthesis of antibacterial molecules (e.g., NO) and several cytokines, including TNF-α, interleukin-6 (IL-6), IL-1β, and IL-12.57 In DCs, the engagement of TLR2 with these PAMPs induces the secretion of anti-inflammatory cytokines such as IL-10, a cytokine that promotes disease progression, by mechanisms that limit the inflammatory response.57 Along with cytokine expression TLR2 activation leads to NO dependent and independent killing of intracellular M. tuberculosis in mouse and human MΦs respectively.59 Apoptosis by infected host cells is also mediated by TLR2 mediated pathway involving MyD88, Fas-Associated protein with Death Domain (FADD) and caspase-8 in which MyD88 associates with FADD via their respective death domains.60 A scheme on TB induced TLR activation has been shown in Fig. 5. Recognition of ligand and onset of inflammatory response against bacteria, protozoan and nematode parasites. Malaria is a mosquito borne infectious disease of humans and other animals caused by parasitic protozoan of genus Plasmodium (WHO, 2014) causing huge number of death each year.61 The host response during malaria infection, expresses high levels of many proinflammatory cytokines, including TNF-α, IL-1, IL-6, IL-12 and IFN-γ that have important roles in controlling parasite growth.62 Such types of responses are primarily originated from interaction of malarial surface molecules and TLRs of host immune cells. Till date, search for TLR activating PAMPs from malarial parasites have been the major highlighted objective for last few decades. In this connection, a glycolipid moiety, glycosyl phosphatidyl inositol (GPI) from P. falciparum has been reported to be a ligand of both TLR2 (heterodimeric form with TLR1 and TLR6) and TLR4.63 Malarial GPI is structurally dissimilar than human and comprises a conserved ethanolamine phosphate-substituted oligosaccharide moiety, EtN-P-6Mana1-2Mana1-6Mana1-4GlcN, linked to phosphatidylinositol by a (1-6)-glycosidic bond.29 The covalently linked fatty-acyl moieties of GPIs display a specific pattern for recognition by TLR2 and the co-receptors. This malarial ligand from infected erythrocytes interact with the mentioned TLRs located on MΦs or DCs and contribute to the immunopathology of the infection by inducing the expression of proinflammatory cytokines, such as TNF-α, IL-6 and IL-1. In addition, GPI anchored proteins, merozoite surface protein 1 (MSP1) and MSP2, two major asexual blood stage surface antigens, have endotoxin activity that indeed results in decreasing frequency of the parasitic load from host.63 Moreover, such immunostimulatory host response by these surface proteins are induced through their binding to TLR4 and activation of immune signalling leading to release of cytokines from MΦs or DCs. P. falciparum GPI-induced MΦ activation is typically CD36 dependent transmits through MAPK, namely extracellular signal regulated kinase (ERK), p38 and c-Jun N-terminal kinase (JNK) pathways as well as through the Nuclear factor- kappa B (NF-κB).29 In addition, studies using inhibitors of p38 activity and ERK1/2 activation indicated towards significant crosstalk among the GPI activated MAPK pathways represents redundant and overlapping functions in the initiation and regulation of innate immune responses.29 Activation of TLR4/MyD88 dependent signalling pathway during the malarial infection results in the excessive proinflammatory cytokine production responsible for the several symptoms of the diseases.29 This adaptor protein plays a more prominent role in pathogenesis, rather than in protection. A scheme on malaria induced TLR activation has been shown in Fig. 5. In particular, reactive oxygen and nitrogen radicals produced by the malaria sensitized MΦs guides immune system by TNF-α, IL-12, and IFN-γ to kill these parasites through the induction of apoptosis.29 These proinflammatory cytokines facilitate parasite-specific adaptive immunity for efficient parasite clearance to sustained and effective protection against disease pathology. However, overwhelmed proinflammatory response often results in fatal outcomes.29 On other side, cell-mediated adaptive immune responses and the modulation of humoral responses by the induction of antibody isotype switching occur mainly by the involvement of IL-12.29 Generally, a gradual down-regulation of proinflammatory cytokine production occurs with a parallel increase in the expression of anti-inflammatory cytokines (IL-10) when the parasite burden starts declining during malaria infection.29 However this balance is required for fighting against the infection while escaping pathogenesis might not always be reached, contributing to medical situations. Leishmaniasis is caused by a protozoa parasite and transmitted to humans by the bite of infected female phlebotomus sandflies. This disease is the second-largest parasitic killer in the world (after malaria), responsible for an estimated 200,000–400,000 infections each year worldwide (WHO, 2015). The anti-leishmanial host response typically depends on the quality of the adaptive immune response primarily induced from host-parasite interaction. Especially, interaction between leishmanial parasite and innate immune receptors rather TLRs results generation of inflammatory mediators to deprive parasite burden and develops efficient adaptive responses. Lipophosphoglycan (LPG), the major identified ligand from these parasites, has been reported to induce inflammation through TLR2 and 4.64,65 LPG occurs both in the parasite surface as well as in the secretory form and these two forms are structurally similar but differ in the average number of phosphorylated oligosaccharide repeat units present and in the sugar types present in the glycan. Up-regulation and activation of TLR2 on human Natural killer (NK) cells by LPG of L. major results enhancement of TNF-α and IFN-γ. However, interaction of LPGs with the TLRs is also influenced by the structural diversity of the phosphoglycan. Likewise, LPG of L. major, L. mexicana, L. aethiopica, and L. tropica were reported as classical TLR2 ligand of MΦs whereas performance of L. tropica LPG is not so much satisfactory.65 Study on the induction of TNF-α in MΦ by L. major LPG showed need of a lipid anchor and a functional MyD88 adaptor.65 Such MyD88-dependent pathways are particularly important in developing protective IL-12-mediated Th1 response against the parasite.65 The L. infantum protein related to the silent information regulator 2 (SIR2) family has been reported for stimulating the proliferation of activated B lymphocytes, overexpression of major histocompatibility complex- (MHC) II and the co-stimulatory molecules CD40 and CD86 as well as maturation of DCs accompanied by the secretion of IL-12 and TNF-α are principally governed through TLR2.64 In spite of its proinflammatory activity, LPG has been shown to inhibit the progression of inflammatory signalling originated from TLR2/TLR4 by inducing the expression of suppressors of the cytokine signalling (SOCS) family proteins viz. SOCS-1 and SOCS-3.65,66 Another exciting fact about LPG is that production of ROS is induced through the interaction between membrane LPG and immune cell TLR-2 leading to the differentiation of Th2 subsets whereas Th1-promoting cytokines are reported to be induced solely by soluble LPG.65 LPG potentiated inflammatory responses through TLR2 stimulation and IL-12 expression followed by Th1 responses in mice was also reported after treating with synthetic oligosaccharide analogues of LPG glycan structure indicating the importance of glycan in the immunostimulatory activity of LPG.65 Interestingly, parasites also use the same ligand as well as the TLRs to supress the immune cell activation required for parasites’ benefit i.e. disease progression. Faria et al.65 reported L. donovani infected human THP1-derived MΦs showed suppression in the TLR2 stimulated IL-12 release with increased production of IL-10 resulted from the inhibition of MAPKp38 phosphorylation and activating ERK1/2 phosphorylation. In addition, L. donovani, L. mexicana, and L. major have been reported to exploit the MΦ tyrosine phosphatase SHP-1 to inactivate kinases (e.g. IRAK) involved in TLR signalling.32 A graphical summary on leishmanial parasite induced TLR activation is shown in Fig. 5. Chagas disease or American trypanosomiasis, is a tropical parasitic disease caused by the protozoan Trypanosoma cruzi (CDC, 2015) and transmitted by insects vector like Triatominae or kissing bugs. In Latin America it causes a health threat for an estimated 10 million people and more than 25 million people are at risk. Typical immunity against Chagas disease is principally mediated by innate recognition through TLRs. Although studied less, TLRs have been characterized as crucial determinants in evoking anti- T. cruzi immune response in which both TLR2 and TLR4 are the key mediators.68 In particular, these receptors mediate internalization of trypanosomatid through phagocytosis required for initiating the immune response by phagosomal maturation to kill the parasite followed by antigen presentation.69 Researchers have demonstrated fusion of early endosomes, and phagocytosis induced by trypomastigotes in MΦs by ligation of guanine phosphonucleotide- binding proteins Ras-related protein- (Rab-) 5 solely through TLR2.69 TLR2 activation has been reported to proceed via MyD88-dependent pathway.69 Secretion of chemokines signalled from TLR2 activation further recruit leukocytes to control the infection in a broad way.28 In particular, TLR2 signalling is targeted by the trypanosomatids to hinder the immune response induced by the parasite. However, TLR activation resulted from immune cells-T. cruzi interaction may also contribute to the disease pathology as well.69 Involvement of TLR activation in the immunopathology of chronic Chagas’ cardiopathy has been reported to be due to a single-nucleotide polymorphism in the genes coding for the signalling proteins of TLR signalling and leads to differential susceptibility to Chagas disease.69 For example, T. cruzi-infected individuals have heterozygous MAL/TIRAP S180L variant shows poorer signal transduction after binding of the trypanosomal ligand to TLR2 or TLR4 resulting in lesser chance of developing chronic Chagas’ cardiomyopathy.69 A summary on trypanosomatid induced TLR activation has been shown in Fig. 5. Lymphatic filariasis, a vector borne neglected tropical disease, mainly caused by three species of nematode parasites- Wuchereria bancrofti, Brugia malayi, and B. timori is considered to be a major public health burden (WHO, 2015). Pathological manifestations of this disease mainly include lymphedema, elephantiasis and rarely a greater degree of neurological manifestation.70 Recent studies also showed existence of co-infection of filarial parasite with bacteria (TB),49 malaria 49,71 and opportunistic yeast.72 In general, the immunoresponse in filariasis is complicated and unresolved especially the involvement and functional role played by TLR2 and TLR4.49 Filarial intracellular symbiotic bacterium, Wolbachia has been reported to cause inflammation through its lipopolysaccharide (of outer membrane) after binding with TLR4. TLR2 and TLR4 are also capable to bind other Wolbachial products like Wolbachia surface protein (WSP) and induce inflammatory response by secreting pro-inflammatory cytokines from MΦs and DCs.13 Such proinflammatory responses are of immense importance to eliminate the infection from host. However, filarial nematodes also target TLR2 and TLR4, especially TLR4, for modulating host immune response. A phosphorylcholine- conjugated glycoprotein molecule namely ES-62 binds TLR4 and create anti-inflammatory/Th2 biased immune response to prolong survivability of the parasite inside host.36 In chronic infection, filarial nematode induces apoptotic death of T cells for down regulating host response and interestingly the process is also operative through TLR4.73 Live microfilarae of B. malayi have been reported to modulate TLR4 expression in monocyte derived human DCs (mhDCs) to induce an immunosuppressive environment in host through interference of MyD88-dependent suppression of NF-κB signalling to hinder production of proinflammatory cytokines and type-1 interferons. In addition to such inhibitory effect of microfilarae over DCs, these also results partial inhibition of the function of human Langerhans cells (LCs) and prevent proliferation of CD4+ T cells.74 Interestingly, TLR2 and TLR4 have been reported to be expressed on circulating B cells during helminthic infection that uphold and maintain Th2 type-immune responses to make “worm favourable” conditions.75 These specialized B cell subsets are known as regulatory B cells (Breg) and their immunosuppressive function is also regulated through TLR4.75 TLR4 on these cells trigger induction of IL-10 secretion from B cell through Myd88-dependent pathway.76 Particularly in filariasis, Breg cells are responsible for the induction as well as maintenance of hypo-responsive immune status with elevated levels of Treg, IL-10 and filarial-specific IgG4.75 This Breg mediated responses is recompensing as patients remain asymptomatic due to devoid of excessive immunopathology.75 However, this typical Th2 environment by Breg results secondary infections by bacteria and/or fungi due to lack of protective immune cells repertoires in filarial subjects.75 A probable mechanism of TLR activation by filarial parasites has been shown in Fig. 5. However, many questions remain to be answered for this aspect. Thus more concluding information rather inferences are need to be gathered through population based studies. Similarly, there is a need to search for other microbial ligands for a same microbe/parasite as well as interplay between the TLRs and obviously the signalling crosstalk. From immunological perspectives, study of mechanism of parasite/microbe induced polarization of major antigen presenting cells may offer us new target for developing therapeutic strategy to restore Th1 (to eliminate infection) or Th2 biased (to protect host from overt inflammation) immune response. SM acknowledges University Grants Commission for the award of his Senior Research Fellowship. Toll-like receptors and their crosstalk with other innate receptors in infection and immunity. A. Zeytun, A. Chaudhary, P. Pardington, R. Cary, G. Gupta. Induction of cytokines and chemokines by Toll-like receptor signaling strategies for control of inflammation. I. Botos, D.M. Segal, D.R. Davies. S. Valanne, J.H. Wang, M. Ramet. The Drosophila Toll signaling pathway. S. Ganesan, K. Aggarwal, N. Paquette, N. Silverman. NF-kappaB/Rel proteins and the humoral immune responses of Drosophila melanogaster. C.A. Janeway Jr., R. Medzhitov. Recognition of lipid A variants by the TLR4-MD-2 receptor complex. The evolution and genetics of innate immunity. Recognition of lipopolysaccharide pattern by TLR4 complexes. Toll-like receptors in the induction of the innate immune response. J. Schreiner, D. Kretschmer, J. Klenk, et al. Staphylococcus aureus phenol-soluble modulin peptides modulate dendritic cell functions and increase in vitro priming of regulatory T cells. B. Opitz, N.W. Schroder, I. Spreitzer, et al. Toll-like receptor-2 mediates Treponema glycolipid and lipoteichoic acid-induced NF-kappaB translocation. N.W. Brattig, C. Bazzocchi, C.J. Kirschning, et al. The major surface protein of Wolbachia endosymbionts in filarial nematodes elicits immune responses through TLR2 and TLR4. Y. Bulut, E. Faure, L. Thomas, O. Equils, M. Arditi. Cooperation of Toll-like receptor 2 and 6 for cellular activation by soluble tuberculosis factor and Borrelia burgdorferi outer surface protein A lipoprotein role of Toll-interacting protein and IL-1 receptor signaling molecules in Toll-like receptor 2 signaling. E.S. Cabral, H. Gelderblom, R.L. Hornung, P.J. Munson, R. Martin, A.R. Marques. Borrelia burgdorferi lipoprotein-mediated TLR2 stimulation causes the down-regulation of TLR5 in human monocytes. T. Strunk, M.R. Power Coombs, A.J. Currie, et al. TLR2 mediates recognition of live Staphylococcus epidermidis and clearance of bacteremia. M.E. Pennini, R.K. Pai, D.C. Schultz, W.H. Boom, C.V. Harding. Mycobacterium tuberculosis 19-kDa lipoprotein inhibits IFN-gamma-induced chromatin remodeling of MHC2TA by TLR2 and MAPK signaling. S.M. McIsaac, A.W. Stadnyk, T.J. Lin. Toll-like receptors in the host defense against Pseudomonas aeruginosa respiratory infection and cystic fibrosis. H. Revets, G. Pynaert, J. Grooten, P. De Baetselier. Lipoprotein I, a TLR2/4 ligand modulates Th2-driven allergic immune responses. B. Hahm, J.H. Cho, M.B. Oldstone. Measles virus-dendritic cell interaction via SLAM inhibits innate immunity selective signaling through TLR4 but not other TLRs mediates suppression of IL-12 synthesis. L.N. Sorensen, L.S. Reinert, L. Malmgaard, C. Bartholdy, A.R. Thomsen, S.R. Paludan. TLR2 and TLR9 synergistically control herpes simplex virus infection in the brain. Toll-Like receptors (TLRs) and their ligands. H. Tada, E. Nemoto, H. Shimauchi, et al. Saccharomyces cerevisiae- and Candida albicans-derived mannan induced production of tumor necrosis factor alpha by human monocytes in a CD14- and Toll-like receptor 4-dependent manner. T. Jouault, S. Ibata-Ombetta, O. Takeuchi, et al. Candida albicans phospholipomannan is sensed through toll-like receptors. C. Monari, E. Pericolini, G. Bistoni, A. Casadevall, T.R. Kozel, A. Vecchiarelli. Cryptococcus neoformans capsular glucuronoxylomannan induces expression of fas ligand in macrophages. L.Y. Chai, B.J. Kullberg, A.G. Vonk, et al. Modulation of Toll-like receptor 2 (TLR2) and TLR4 responses by Aspergillus fumigatus. M.P. Aoki, E.A. Carrera-Silva, H. Cuervo, M. Fresno, N. Girones, S. Gea. Nonimmune cells contribute to crosstalk between immune cells and inflammatory mediators in the innate response to Trypanosoma cruzi infection. P.S. Coelho, A. Klein, A. Talvani, et al. Glycosylphosphatidylinositol-anchored mucin-like glycoproteins isolated from Trypanosoma cruzi trypomastigotes induce in vivo leukocyte recruitment dependent on MCP-1 production by IFN-gamma-primed-macrophages. TLR-mediated cell signaling by malaria GPIs. J.F. Flandin, F. Chano, A. Descoteaux. RNA interference reveals a role for TLR2 and TLR3 in the recognition of Leishmania donovani promastigotes by interferon-gamma-primed macrophages. M.S. Faria, T.C. Calegari-Silva, A. de Carvalho Vivarini, J.C. Mottram, U.G. Lopes, A.P. Lima. Role of protein kinase R in the killing of Leishmania major by macrophages in response to neutrophil elastase and TLR4 via TNFalpha and IFNbeta. I. Abu-Dayyeh, M.T. Shio, S. Sato, S. Akira, B. Cousineau, M. Olivier. Leishmania-induced IRAK-1 inactivation is mediated by SHP-1 interacting with an evolutionarily conserved KTIM motif. I. Abu-Dayyeh, K. Hassani, E.R. Westra, J.C. Mottram, M. Olivier. Comparative study of the ability of Leishmania mexicana promastigotes and amastigotes to alter macrophage signaling and functions. I. Wong-Baeza, M. Alcantara-Hernandez, I. Mancilla-Herrera, et al. The role of lipopeptidophosphoglycan in the immune response to Entamoeba histolytica. Mapping immune response profiles the emerging scenario from helminth immunology. H.S. Goodridge, F.A. Marshall, K.J. Else, et al. Immunomodulation via novel use of TLR4 by the filarial nematode phosphorylcholine-containing secreted product, ES-62. E. van Riet, B. Everts, K. Retra, et al. Combined TLR2 and TLR4 ligation in the context of bacterial or helminth extracts in human monocyte derived dendritic cells molecular correlates for Th1/Th2 polarization. D. van der Kleij, E. Latz, J.F. Brouwers, et al. A novel host-parasite lipid cross-talk. Schistosomal lyso-phosphatidylserine activates toll-like receptor 2 and affects immune polarization. X. Wang, S. Zhou, Y. Chi, et al. CD4+CD25+ Treg induction by an HSP60-derived peptide SJMHE1 from Schistosoma japonicum is TLR2 dependent. C.A. Terrazas, L. Gomez-Garcia, L.I. Terrazas. Impaired pro-inflammatory cytokine production and increased Th2-biasing ability of dendritic cells exposed to Taenia excreted/secreted antigens: a critical role for carbohydrates but not for STAT6 signaling. M.J. Johnston, J.A. MacDonald, D.M. McKay. Parasitic helminths a pharmacopeia of anti-inflammatory molecules. L. Oliveira-Nascimento, P. Massari, L.M. Wetzler. The role of TLR2 in infection and immunity. K.J. Brandt, C. Fickentscher, E.K. Kruithof, P. de Moerloose. TLR2 ligands induce NF-kappaB activation from endosomal compartments of human monocytes. D.S. O’Mahony, U. Pham, R. Iyer, T.R. Hawn, W.C. Liles. Differential constitutive and cytokine-modulated expression of human Toll-like receptors in primary neutrophils, monocytes, and macrophages. M. Muzio, D. Bosisio, N. Polentarutti, et al. Differential expression and regulation of toll-like receptors (TLR) in human leukocytes selective expression of TLR3 in dendritic cells. A. Oeckinghaus, M.S. Hayden, S. Ghosh. Crosstalk in NF-kappaB signaling pathways. Phosphoinositide-mediated adaptor recruitment controls Toll-like receptor signaling. S. Babu, R. Anuradha, N.P. Kumar, P.J. George, V. Kumaraswami, T.B. Nutman. Filarial lymphatic pathology reflects augmented toll-like receptor-mediated, mitogen-activated protein kinase-mediated proinflammatory cytokine production. How important are Toll-like receptors for antimicrobial responses. NF-kappaB and IRF pathways cross-regulation on target genes promoter level. N. Tamassia, F. Bazzoni, V. Le Moigne, et al. IFN-beta expression is directly activated in human neutrophils transfected with plasmid DNA and is further increased via TLR-4-mediated signaling. Regulation of innate immune signalling pathways by the tripartite motif (TRIM) family proteins. J. Kleinnijenhuis, M. Oosting, L.A. Joosten, M.G. Netea, R. Van Crevel. Innate immune recognition of Mycobacterium tuberculosis. Control of Mycobacterium tuberculosis through mammalian Toll-like receptors. L.M. Rocha-Ramirez, I. Estrada-Garcia, L.M. Lopez-Marin, et al. Mycobacterium tuberculosis lipids regulate cytokines, TLR-2/4 and MHC class II expression in human macrophages. Mechanisms of mycobacterial persistence in tuberculosis. S. Herbst, U.E. Schaible, B.E. Schneider. Interferon gamma activated macrophages kill mycobacteria by nitric oxide induced apoptosis. A.O. Aliprantis, R.B. Yang, D.S. Weiss, P. Godowski, A. Zychlinsky. The apoptotic signaling pathway activated by Toll-like receptor-2. 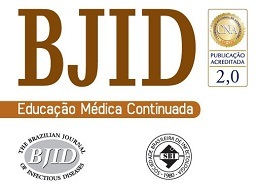 Emergency department management of mosquito-borne illness: malaria, dengue, and West Nile virus. Effect of malaria components on blood mononuclear cells involved in immune response. S.Y. Gun, C. Claser, K.S. Tan, L. Renia. Interferons and interferon regulatory factors in malaria. R. Silvestre, A.M. Silva, A. Cordeiro-da-Silva, A. Ouaissi. The contribution of Toll-like receptor 2 to the innate recognition of a Leishmania infantum silent information regulator 2 protein. M.S. Faria, F.C. Reis, A.P. Lima. Toll-like receptors in leishmania infections guardians or promoters?. M.J. de Veer, J.M. Curtis, T.M. Baldwin, et al. MyD88 is essential for clearance of Leishmania major possible role for lipophosphoglycan and Toll-like receptor 2 signaling. M. Shweash, H. Adrienne McGachy, J. Schroeder, et al. Leishmania mexicana promastigotes inhibit macrophage IL-12 production via TLR-4 dependent COX-2, iNOS and arginase-1 expression. M.M. Rodrigues, A.C. Oliveira, M. Bellio. The immune response to Trypanosoma cruzi role of Toll-like receptors and perspectives for vaccine development. R. Ramasawmy, E. Cunha-Neto, K.C. Fae, et al. Heterozygosity for the S180L variant of MAL/TIRAP, a gene expressing an adaptor protein in the Toll-like receptor pathway, is associated with lower risk of developing chronic Chagas cardiomyopathy. S. Mukherjee, S.P. Sinha Babu. A. Hoerauf, J. Satoguina, M. Saeftel, S. Specht. S. Mukherjee, N. Mukherjee, P. Saini, P. Gayen, P. Roy, S.P. Sinha Babu. Molecular evidence on the occurrence of co-infection with Pichia guilliermondii and Wuchereria bancrofti in two filarial endemic districts of India. Immunopathogenesis of lymphatic filarial disease. P.G. Venugopal, T.B. Nutman, R.T. Semnani. Activation and regulation of toll-like receptors (TLRs) by helminth parasites. TLRs, Treg, and B Cells, an Interplay of Regulation during Helminth Infection. K. Yanaba, J.D. Bouaziz, T. Matsushita, T. Tsubata, T.F. Tedder. The development and function of regulatory B cells expressing IL-10 (B10 cells) requires antigen receptor diversity and TLR signals. N. Mukherjee, S. Mukherjee, P. Saini, P. Roy, S.P. Sinha Babu. Phenolics and terpenoids the promising new search for anthelmintics: a critical review.